Ashlee Lucero talks about struggling to pay a $80 traffic fine and an added $130 in fees issued last September in Mountain View — a six block by three block town tucked between Denver and Wheat Ridge. When she missed a payment on the fine, Mountain View issued a Contempt of Traffic Court warrant for her that led to a night in jail. She said she lost her job because of that. 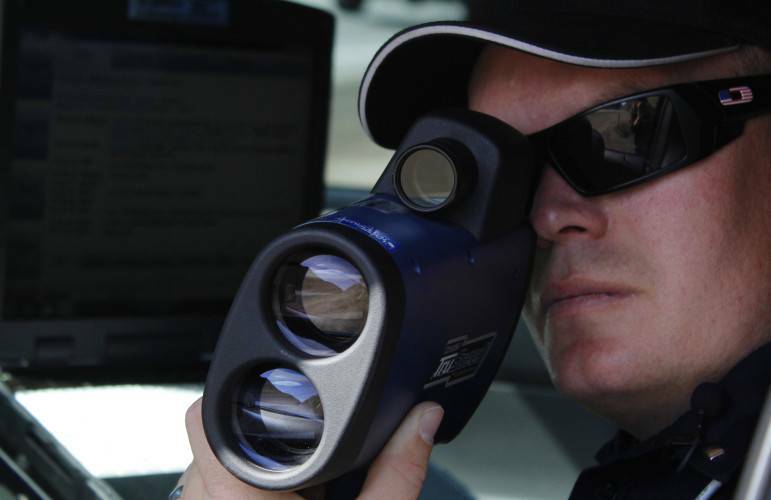 Mountain View\’s reliance on traffic fines and fees is second highest in Colorado. Final records for 2014 were not available, but in 2013 ticket revenues generated $621,099 – more than half of Mountain View’s municipal budget. As a percentage of total, that’s more than ten times more than most Colorado communities earn from traffic tickets and related court fines. Lucero was pulled over on the warrant in Adams County on Jan. 22 and spent the day in jail. As a result, she paid a $75 bond, but lost more than money. According to traffic ticket data provided to 9Wants to Know and Rocky Mountain PBS I-News, Mountain View’s most common tickets were seat belt violations (847), red light violations (372) and “obstructed view” (274) which can include cracked windshields or anything hanging from a rearview mirror. There were seven defective tire tickets like Lucero’s. most recent complete data available. Statewide, fines account for four percent of municipal budgets on average. But in Colorado towns where ticket revenue accounts for more than 30 percent of the budget, police and city officials insist the efforts are focused on public safety – and there often isn’t much else for police to do. In 2013, Morrison made more than $1.15 million from traffic fines and fees, which more than covered police department costs, $846,000, and municipal court, $148,025. Cleaver has proposed federal legislation that would not allow communities to generate more than 30 percent of their revenue from fines and court fees. The bill was inspired by a U.S. Department of Justice report on Ferguson, Mo., in the aftermath of the police shooting of Michael Brown last August and widespread unrest, that found police were stopping citizens to increase revenue for the city. “I just think that, for the Congress or for the state legislature to place limits on that, we would be very resistant to that,” said Sam Mamet, the executive director of the Colorado Municipal League. All towns and municipalities in Colorado collected a combined $122 million in traffic ticket revenues in 2013. But the 30 percent cap on revenue from fines proposed by Cleaver would impact only five towns in Colorado, as of 2013 data. One town, Campo in far south Colorado just north of the Oklahoma border, could cease to exist without traffic ticket revenues.